Once you've built a map you can customize it by choosing from one of the built-in map styles. You can also print maps out to help document the information architecture of a site. 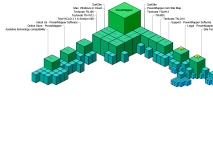 This sitemap displays blocks for each page on the site, with the taller blocks representing pages closest to the home page. It's useful for detecting site structures where most of the content clusters in one or two sections of the site. 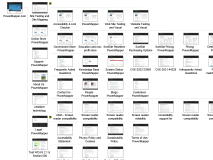 This thumbnail sitemap shows miniature snapshots (thumbnails) of each web page organized hierarchically. The map can be re-centered on a new page by drilling down using the [+] symbols. A variation of the Electrum style showing all pages in a single view. 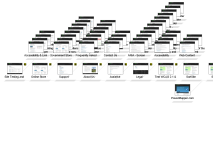 This graphical sitemap arranges page thumbnails in an isometric (pseudo-3D) view. Unlike a true 3D view, pages further back stay the same size making them easier to see. The map can be re-centered on a new page by drilling down using the [+] symbols. 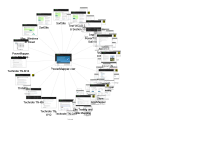 This sitemap displays website structure by arranging pages in clusters centered around the parent page. The map can be re-centered on a new page by drilling down using the [+] symbols. 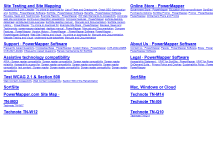 This map displays thumbnails of each web page of all levels of the site arranged like an organizational chart. 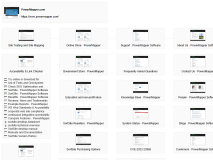 This sitemap displays a graphical button for each page on the site. You can customize the map with your own icons. 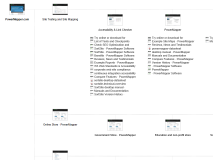 This sitemap displays an expanding/contracting table of contents like Windows Explorer or Mac OS Finder. This map displays a list of pages similar to a book's table of contents. This text-only map displays page titles in a table grid. 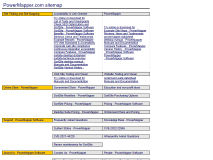 This text-only map displays page titles in a portal-style directory.